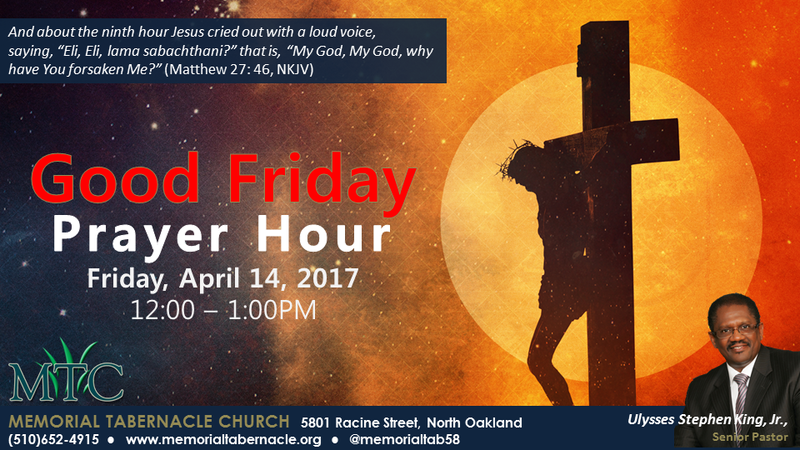 Join the Memorial Tabernacle Family as their special guest to Good Friday Prayer Hour April 14th at 12PM. All are welcome! Good Friday: The trial, crucifixion, death, and burial of Jesus. The Friday before Easter is called “Good” Friday commemorates the crucifixion and death of Jesus.